A-37-YEAR-OLD man from Fort Rixon in Matabeleland South’s Insiza District allegedly chopped off his father’s head with an axe after accusing the elderly man of stealing his mangoes, police confirmed yesterday. Clemence Hove of Maturi village, under Chief Jahana, Lambani area allegedly struck Hlupho Nicodimus Chibaro (73) with a log before chopping off his head with an axe on Thursday. Sources said Hove struck Chibaro several times on the neck with the axe. “The only explanation is that he could have suddenly become insane. This cold blooded killing over something so trivial like a mangoes can’t be committed by a normal person,” said a neighbour. Matabeleland South police spokesperson, Inspector Philisani Ndebele, said investigations were underway. “I can confirm that we arrested a man for allegedly murdering his father over some dispute. The 37-year old man attacked his father with a log before using a axe to chop off the head. He was apprehended by villagers soon after beheading the deceased,” he said. Insp Ndebele said police continue to urge members of the public to refrain from resorting to violence to resolve disputes. Chibaro’s body was ferried to the United Bulawayo Hospitals (UBH) for post mortem. A villager who preferred anonymity said Hove confronted his father and accused him of stealing his mangoes. “He was armed with a log and seemed to be itching for a fight. Chibaro asked his grandson, Pride Hove to seek help from neighbours. 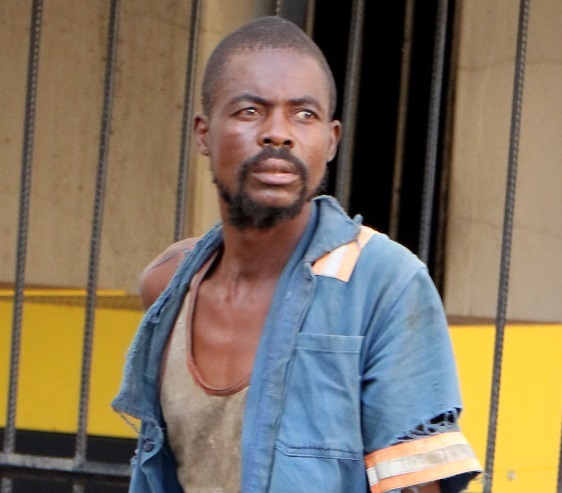 Hove struck his father twice on the left hand and Fortunate Hove (28), his daughter-in-law who witnessed the attack screamed for help,” said the villager. Pride allegedly ran to summon Chibaro’s wife who was working in the fields and on their return they found him beheaded with the body lying in a pool of blood,” said the source.